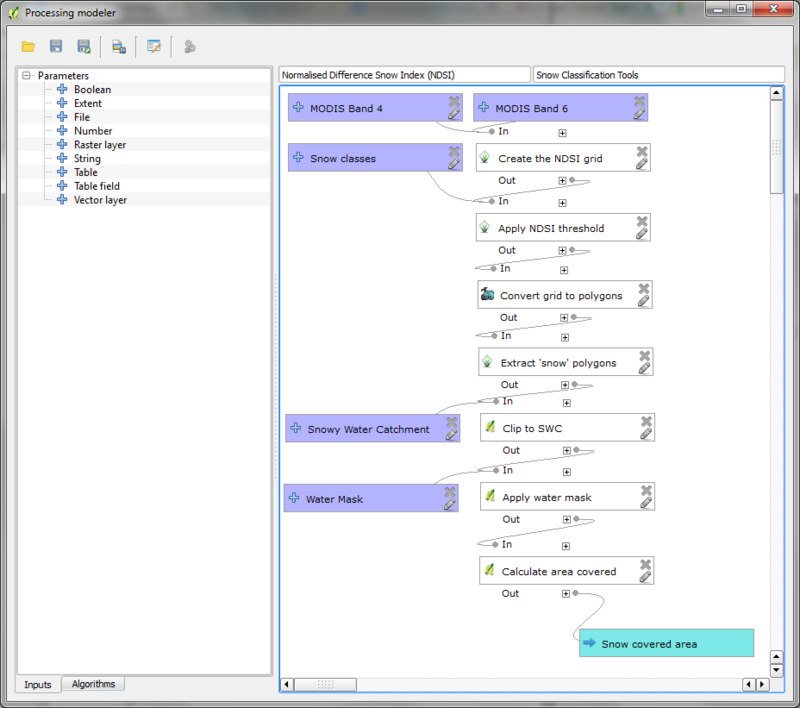 The NDSI output is created with some very simple band map by using the GRASS module „r.mapcalculator”. 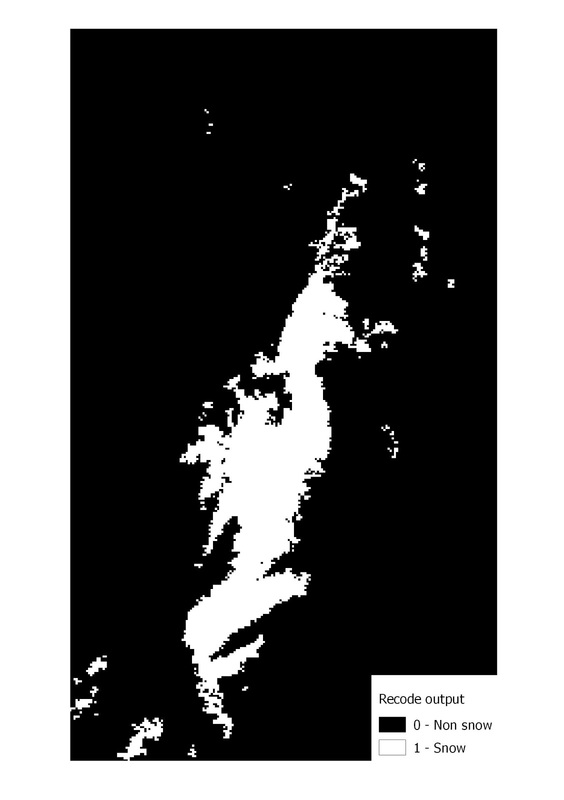 Once the NDSI grid was available the NDSI threshold of 0.4 needed to be applied and this would result in a boolean grid depicting „Snow” and „Non snow” areas. 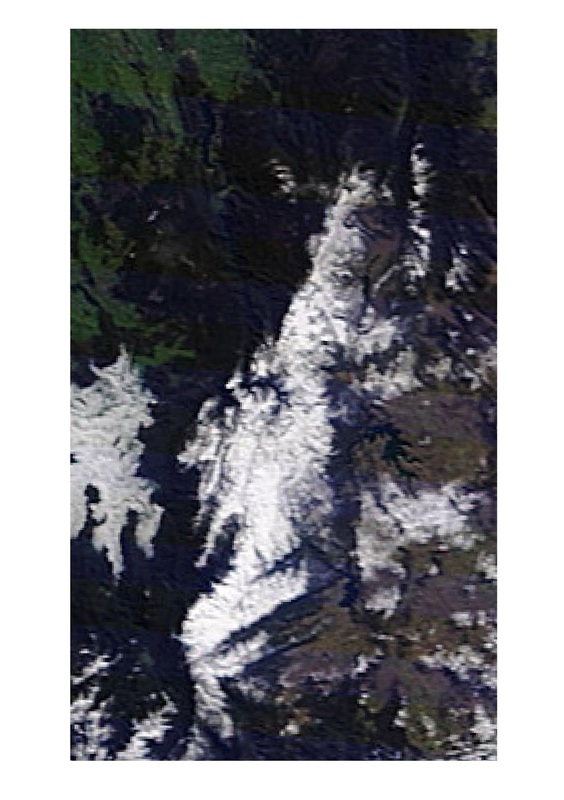 To get that classification another GRASS module „r.recode” was used and produced the result shown above in Map 1.4 Recoded ‘Snow’ vs ‘Non Snow’. 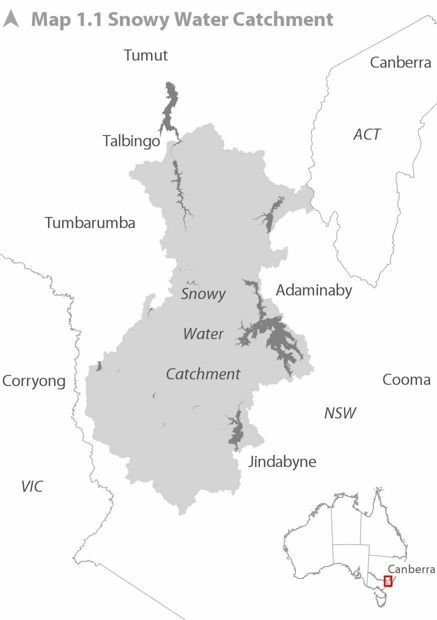 The output from the model is a vector polygon showing the snow covered area within the Snowy Water Catchment. 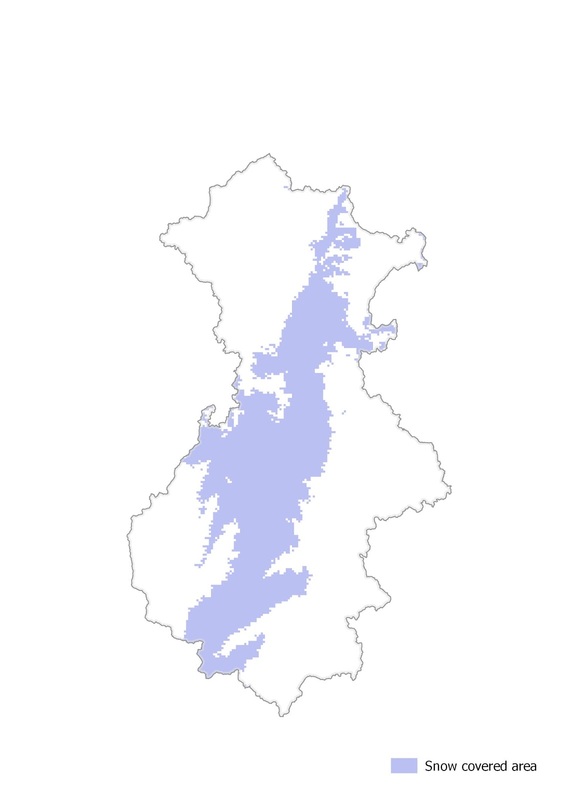 The attributes of the polygon include the area covered by the snow and the percentage of the catchment that is covered. 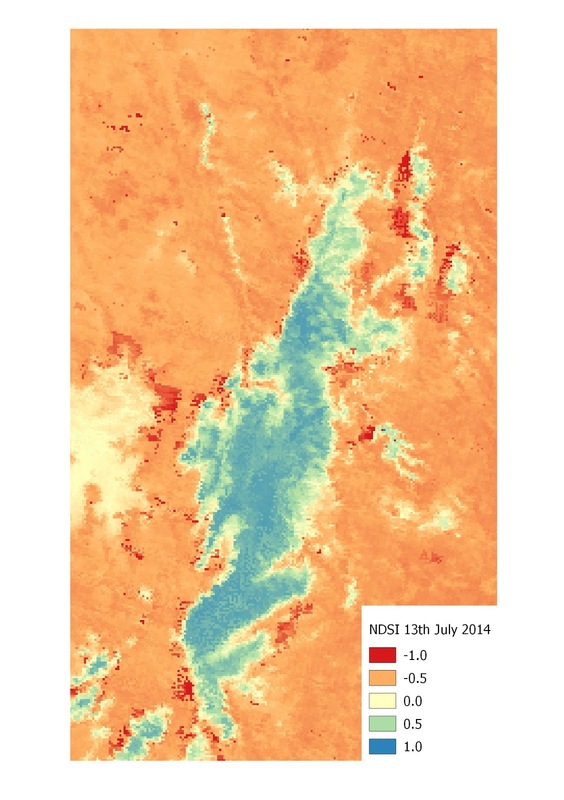 The model in its entirety can be seen below in „Image 1.1 - Normalised Difference Snow Index (NDSI) QGIS processing toolbox model”.